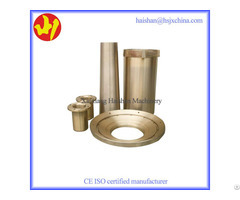 Our company adopts advanced production process such as centrifugal casting on our copper bushing and bearing bush. Compared to sand mold casting, centrifugally cast products obviously has improved tightness, wear resistance, good tensile strength and tensile rate, flexion and extension. 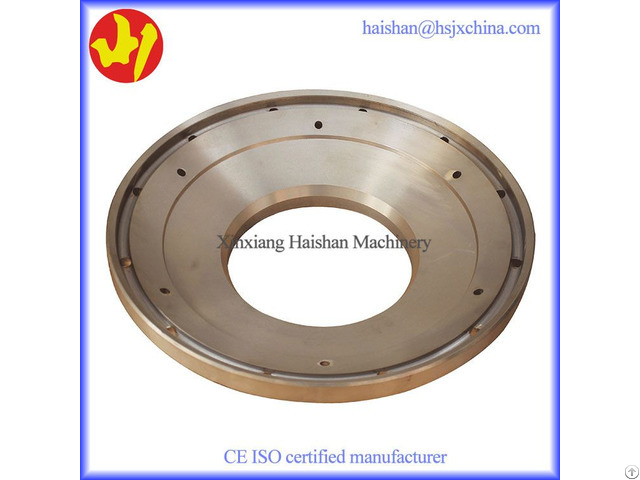 Such is not the phenomenon of sand mold casting as the phenomenon such as sand hole could occur during or after the casting process. 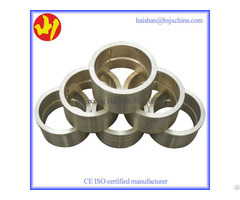 Thus, centrifugal casting is the first choice for many kinds of complete set of machinery products. 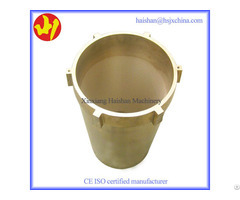 The role of cone crusher spare parts are as slide bearings It has an irreplaceable role in the cone crusher. So, what is the specific role of the copper sleeve that makes something that requires attention?